Oil based mud is the most normal lubrication agent of offshore drilling rigs. During drilling activities, huge quality of oil base mud and oil based cuttings will be generated and come out together with the oil rigs. The sands and rocks come out together with the lubrication oil based mud will be covered with oily material, and it is Non hydrophilic. These oil base mud and oil based cuttings are hazardous and have very bad damage to the ground and environment. In order to reduce and avoid the oil base mud and oil based cuttings pollute environment, there should be a technology to inject the hazardous oil based mud and oil based cuttings to the suitable lay of the ground. We call the technology of injecting hazardous oil based mud and oil based cuttings generated during drilling activities as drilling cuttings re-injection. 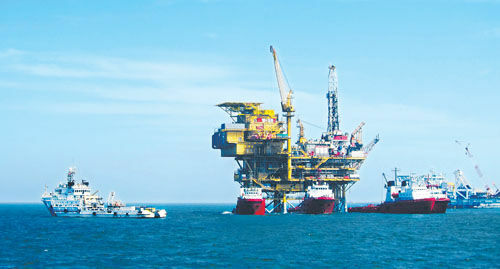 The environmental protection policy is more and more strict, The new policy regarding the zero discharge of offshore drilling in China marine area will come out very soon. The policy will bring new challenges to the drilling activities of offshore, so the drilling cuttings re-injection technology is imperative and necessary, especially in the Bohai area, drilling cuttings re-injection operation will be a must-be part of the drilling operation. The drilling cuttings re-injection technology has been effective for many years in many countries, it is a mature technology rather than new.And it is proved that the drilling cuttings re-injection technology will not pollute the formation. As the injection ground layer is not a production layer, and it cannot break the cover to cause water pollution, and so on. The drilling cuttings re-injection technology is the most reasonable drilling waste disposal methods for remote offshore drilling rigs. The core of the drilling cuttings re-injection technology m lies in the choice of the injection ground layer, to build the simulation of the joint and the system on the platform.